Home / All Posts / Plumbing / Why is it Crucial to Hire Emergency Plumbers? Most people don’t want to think about what can go wrong in their home. Everything is great when it all works, and if it is not working, well, just call someone. Yes, you can always call a plumber when something goes wrong, but it is a good idea to know in advance who you will call, and what is and is not an emergency. Have a list close to your phone or where you can easily find it when you have a sudden, urgent need for an emergency plumber in Los Angeles, or when you are not home and someone is acting on your behalf, like a babysitter or a relative. Let’s face it, plumbing issues, such as water leaks, drips, clogs, or faulty hot water heaters, are not things that are going to get better if they are ignored. The sooner a plumbing problem is addressed, the cheaper and easier it will be to fix it, and the more likely that you will have an emergency situation that will cost more in time, money, and emotion than it would have if the small drip had been fixed earlier. You might not want to call someone out in the night if it is something that can wait, but when an emergency does occur, it is crucial to have something done about it immediately. Call a plumber, and get the matter taken care of as soon as you can, even if it is Sunday morning or late at night on Wednesday. Problems escalate into bigger damage, and that is why it is crucial to hire emergency plumbers when they are needed. Don’t wait until it is too late. If you are a homeowner, it is a good idea to have a list of plumbers, their rates, and their hours easily accessible to everyone. Keep a list available on your phone or somewhere in the central information hub of your home so that it can be accessed by everyone; that way you won’t have to struggle to find a number or a person who will come to your home for a reasonable price while dirty water is finding its way to places you don’t want it to be. When it comes to plumbing and the smooth operation of your home, it is best to be prepared in advance. 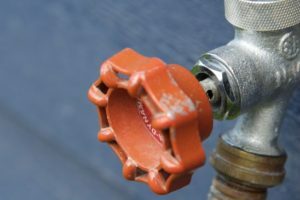 You should have a list of emergency contacts to call when you need them, and you should also know where the water shutoff valve is in the home. Everyone who is in the home should be able to switch off the water for the whole house, and they should understand the benefits and consequences of doing so. If the water can be shut off so the leak can be contained before the plumber can get there, there will be much less damage done to the house—and to your bank account. Because plumbing work, or other crucial services in the home, is something that is best left to the experts at Honest Plumbing & Rooter, Inc., especially after hours, it is a very good idea to have a good relationship with people you will call so that you are prepared in an emergency. Don’t wait until the last minute.